With Autarco your investment in solar comes with a straightfoward and insured performance guarantee that will always protect your bottom line. Together with our retail partners we offer you the most secure solar PV proposition in the market and let accelerate the energy transition, making the world a better place, on roof at a time! "With the kWh guarantee we warrant the performance of your entire PV system after install, not just the performance of the solar panels under laboratory conditions." Every kWh guarantee is covered by an insurance policy from a Lloyd’s of London syndicate and issued by an independent foundation. This structure is designed to give you security independent of Autarco. Your solar system's objective is to produce power that you can use in your home or business. If an Autarco solution produces less useable power than guaranteed you receive the difference in cash. Unlike solar panel component based performance guarantees, Autarco’s kWh guarantee does not require any laboratory testing. The output displayed in MyAutarco is what determines any claim. Your Autarco system comes with a kWh guarantee: an energy performance guarantee measured in kilowatthours. If your Autarco solar PV systems generates less than what was guaranteed, you get your money back at a fixed rate per missed kWh. It really is that simple. Your installer uses Autarco software to accurately analyse your roof and model the expected performance based on the system design, your location, roof details and precise shade profile. After installation Autarco will complete a technical due diligence and issue one or more kWh guarantee certificates, each covering a period of 5 years. 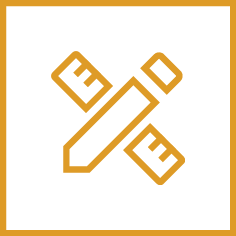 Every kWh guarantee is underwritten by Lloyd’s of London. With Autarco you and your installer enjoy the peace of mind of knowing that your investment in solar is protected and you have chosen a brand that respects the contribution to the energy transition you have both made with your time and money. Each Autarco system is tailormade to perfectly fit your roof, economic situation and preferences. Autarco only works with the best retailers who have all required installation related certifications and a clear track record of happy customers. After install we doe a technical due dilligence on the performance of your new Autarco PV system. After this you receive your kWh guarantee certificate. Log in to your MyAutarco monitoring portal to see exactly how much your solar PV system generates. Autarco's kWh guarantee is insured at Lloyd's of London and will always be honoured, no matter what. Autarco is a technology company. In order to provide the industry’s first and revolutionairy insured kWh guarantee we have had to develop new technologies and develop a long track record of reliable system performance. Besides developing state-of-the-art solar PV technology such as our high efficiency solar panels and extremely reliable inverters we had to bring together leading scientists and their latest research results in the fields of meteorology, machine learning, climate modelling, building physics, etcetera. Fundamentally Autarco removes all uncertainty and streamlines what goes onto your roof. Because we know exactly what is installed how and where, we can integrate our products’ component warranties into the kWh guarantee. After issuing the kWh guarantee, we remain a stakeholder by actively monitor the performance of your system and bring utility grade asset management practices to the rooftop segment. Should a system underperform we know it before you do and take appropriate action. The Autarco kWh guarantee is insured by Lloyd’s of London, the leading insurance company. Your investment is secure at all times and every kWh guarantee is totally prepaid and covered by the insurance for the whole term. What does the kWh guarantee cover exactly? The kWh guarantee covers you against underperformance due to product defects, installation defects and low solar insolation. What is the term of a kWh guarantee? A kWh guarantee covers performance of an Autarco PV system for a five (5) year term and is embodied by a kWh guarantee certificate. You can get up to 3 consecutive kWh guarantees so your solar PV investment is protected for up to 15 years. At the end of each five year term we check the guaranteed value on the certificate with the actual performance of the PV system as measured by the inverter or MID approved meter. In case of underperformance the beneficiary of the kWh guarantee receives the compensation rate per missed kWh. In cash. 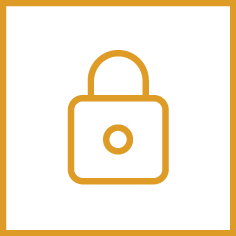 So your business case and bottom line are protected! Can I chose my kWh compensation rate? Yes. The compensation rate is flexible to meet your economic reality and can be set at 5, 10, 15 or 20 eurocents/kWh. What are my obligations as a beneficiary? Ensure that the monitoring devices are connected to the internet so that they can communicate their status and performance to the servers. Act upon instructions to clean or otherwise perform maintenance on the solar PV system. Grant acces to the PV system for inspection, maintenance or modification should this be requested. When are my kWh guarantees issued? After installation your installer registers your system with Autarco. A very thorough technical due dilligence is then undertaken to check whether the installation is done correctly and the system is performing as expected. If the registration passes this verification step, the requested kWh guarantees are issued. Who issues the kWh guarantees? The kWh guarantees are issued by an independent foundation. Using this foundation, with an independent board comprised of industry experts, ensures that every guarantee can be honoured no matter the trading status of Autarco. 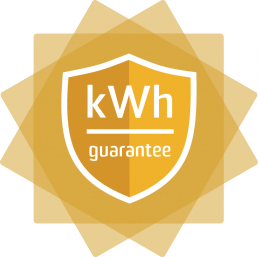 How are the kWh guarantees insured? The foundation engages in consecutive insurance policies each with prepaid risk limit. When kWh guarantees are issued, the guaranteed value is deducted from the risk limit. When the entire risk limit of a policy is used up, a new insurance policy is engaged in and Lloyd’s of London will issue a confirmation stating which kWh guarantees are endorsed on the filled policy. How is the insurance premium paid? 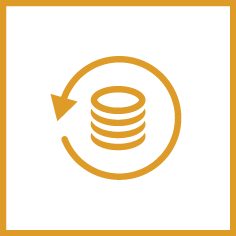 Autarco transfers funds to the foundation for each system that passes the technical due dilligence and verification phase. The foundation uses those funds to pay for insurance premiums as the policy holder and beneficiary of the Lloyd’s of London insurance. All premiums are prepaid such that there is never a kWh guarantee issued without available risk limit on a policy. How is ensured that every guarantee will always be honoured? 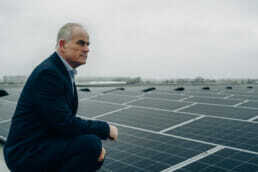 Each kWh guarantee is issued from the independent foundation, covered by a Lloyd’s of London policy for the full term and all insurance premiums are prepaid. Coverage is therefore not contingent on annual premium payments nor is the trading status of Autarco relevant to the ability to claim on the insurance. I want this. Where can I get it? Autarco is a technology company that supplies hardware and software technologies to the very best installers and EPCs in the solar industry. These Authorized Dealers sell Autarco solar PV systems with kWh guarantees to the general public. Click here to get in touch with one of our Authorized Dealers near you. Put the roof of your business to work. A customised Autarco solar solution with a guaranteed kWh energy performance assures effective cost savings and maximum independence from energy suppliers and rising electricity costs. How switched on are you up top? Save energy with Autarco solar panels on your roof! Our Authorized Dealers can calculate the optimum photovoltaic system for your roof and your electricity consumption. Are you looking for a supply partner that supports you to grow your business? Want to offer your customers real value and a meaningful guarantee? Join us today and become an Autarco Authorized Dealer. Want to offer your customers real value and a meaningful guarantee? Join us today! As an Autarco partner you also benefit from attractive services and extensive marketing support.